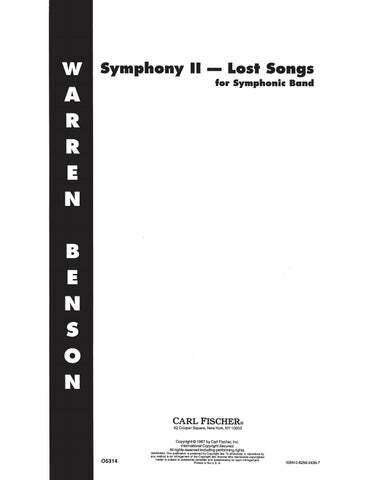 As composer, conductor, performer, writer, and humorist, Warren Benson (1924-2005) was perhaps best known for his dynamic music for wind ensemble, acclaimed as “among the most important of this century” (United States Marine Band, Bicentennial Collection), along with percussion and chamber works, and moving song cycles. 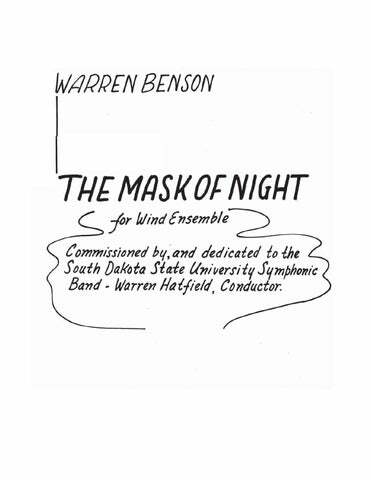 Benson wrote over 150 works, including pieces which have been heralded as masterpieces of the twentieth century. His music has been played and recorded worldwide by the Kronos Quartet, New York Choral Society, International Horn Society, and the United States Marine Band. Benson’s teaching career spanned over 50 years and culminated with honors including the Kilbourn Professorship for Distinguished Teaching, and appointment as University Mentor and Professor Emeritus at the Eastman School of Music. Benson played timpani in the Detroit Symphony Orchestra under Ormandy, Reiner, Goosens, and Bernstein while an undergraduate at the University of Michigan. He later received Fulbright Teaching Fellowships, a John Simon Guggenheim Composer Fellowship, National Endowment for the Arts composer commissions, and the Diploma de Honor from the Republic of Argentina. He also held residencies at the McDowell Colony. He was elected to the National Band Association Academy of Excellence and the Percussive Arts Society Hall of Fame, and was a founding member of the World Association for Symphonic Bands and Ensembles. 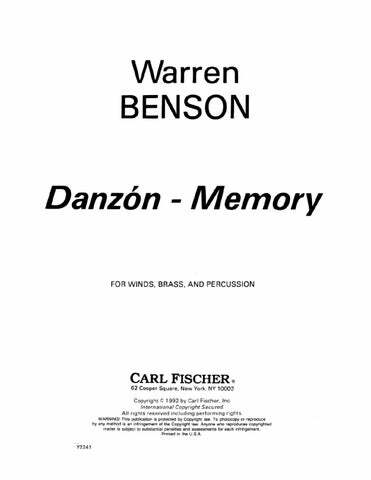 Benson was Professor of Percussion and Composition for fourteen years at Ithaca College, which included seminal work on music education for the Ford Foundation’s Contemporary Music Project. From 1967-93, he was Professor of Composition at the Eastman School of Music. He also served as Distinguished Meadows Visiting Professor at Southern Methodist University from 1986-88. 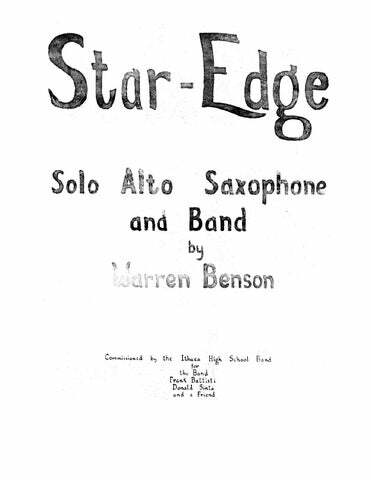 Benson was largely self-taught in composition, found great inspiration in jazz and poetry, and was highly influenced by nature, languages, literature, and travel. 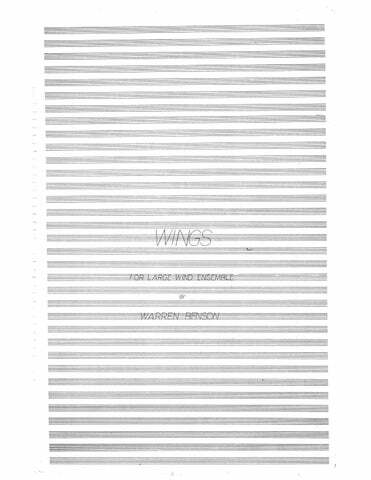 His archive is located at the Eastman School of Music and his bio-bibliography by Alan D. Wagner is published by Edwin Mellen Press. 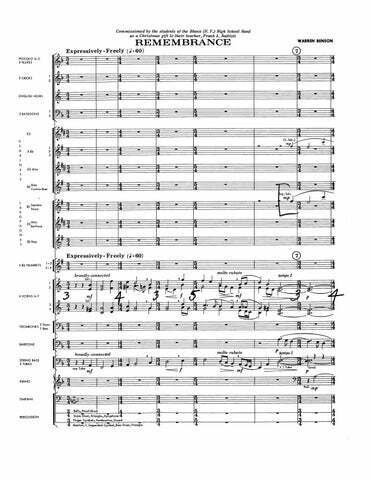 full score, vln., vla., vlc., pno. Psalm 139: Whither Can I Go From Your Spirit? 12:00 SA chorus; 2Vln., Vla., Vcl. 18:00 picc., fl. (2), ob. (2), eng.hn., cl. (3), b.cl., cb.cl., bsn. (2), cbsn., s.sax., a.sax., t.sax., b.sax. ; hn. (4), tpt. (3); tbn. (2), b. tbn., bar.hn., tba. ; cb. (3), timp., perc. (5), pno. 12:00 picc., fl. (2), ob. (2), eng.hn., bsn. (2), Eb cl., cl. (3), a.cl., b.cl., cb.cl., bsn. (2), s.sax., a.sax., t.sax., b.sax., bass sax. ; hn. (4), tpt. (4), tbn. (3), bar.hn., tba. ; cb., timp., perc. (4), pno. 27:00 picc., fl. (2), ob. (2), eng.hn., Eb cl., cl. (3), a.cl., b.cl., cb.cl., bsn. (2), s.sax., a.sax., t.sax., b.sax., bass sax. ; hn. (4), tpt. (3), tbn. (3), bar.hn., tba. (2); cb., timp., perc. (4), pno. 1030 picc., fl. (2), ob. (2), eng.hn., Eb cl., cl. (12), a.cl. (2), b.cl., cb.cl., bsn. (2), a.sax. (2), t.sax., b.sax. ; hn. (4), tpt. (6), tbn. (3), bar.hn., tba. ; cb., perc. (3), hp. 4:30 picc. (2), fl. (2), ob. (2), eng.hn., Eb cl., cl. (3), b.cl. (2), cb.cl. (2), bsn. 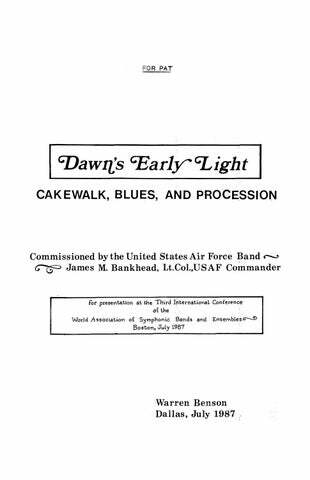 (2), cbsn., s.sax., a.sax., t.sax., b.sax. ; hn. (4), tpt. (3), tbn. (3), bar.hn., tba. (2); cb., perc. (5), pno., hp. s.sax., a.sax., t.sax., b.sax. ; hn. (4), cor. (3), tpt. (2), tbn. (3), bar.hn., tba. ; cb., perc. (7), pno., hp. for Alto Saxophone and Wind Ensemble 18:00 Solo alto saxophone; picc., fl. (2), ob. (2), eng.hn., Eb cl., cl. (3), bsn. 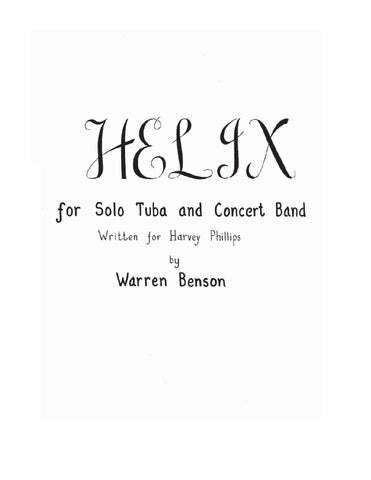 (2), a.cl., b.cl., cb.cl., s.sax., a.sax., t.sax., b.sax., bass sax. ; hn. (4), tpt. (3), tbn. (3), bar.hn., tba. ; cb., perc. (4), pno. for Percussion 5:30 3(Picc.) 3(E.H.) 3(B.Cl.) 3(Cbsn.) – 4 3 3(B.Tbn.) 1; Timp. 4Perc. Str. for Alto Saxophone and Small Orchestra (Second Movement of Concertino) 5:00 Solo A.Sax. ; 1(Picc.) 1 1 1 – 1 0 0 0; Bells, Str. 14:00 Solo flute; Perc. Str.